Still employing TWO mecha to carry out your Halloween activities? 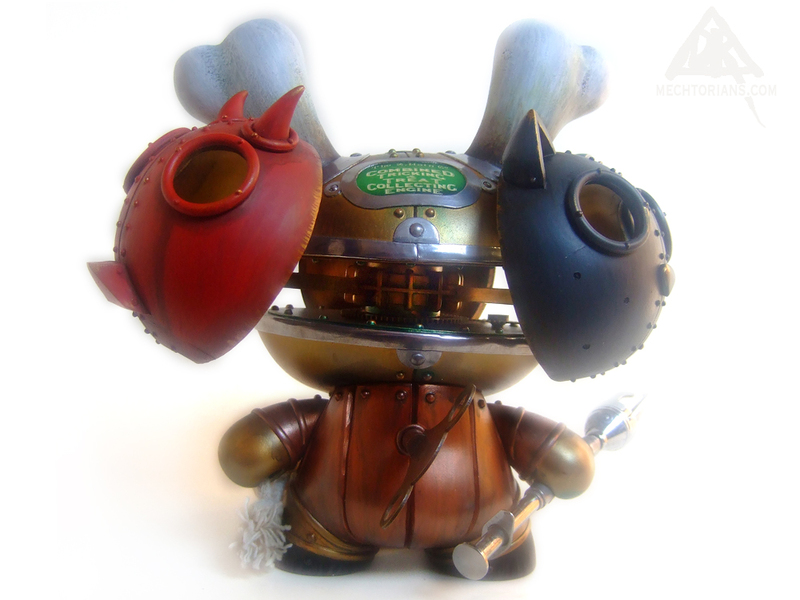 Now you can save time and fuss with our Patented Combined Tricking & Treat Collecting Engine! Fully autonomous, efficient and durable. 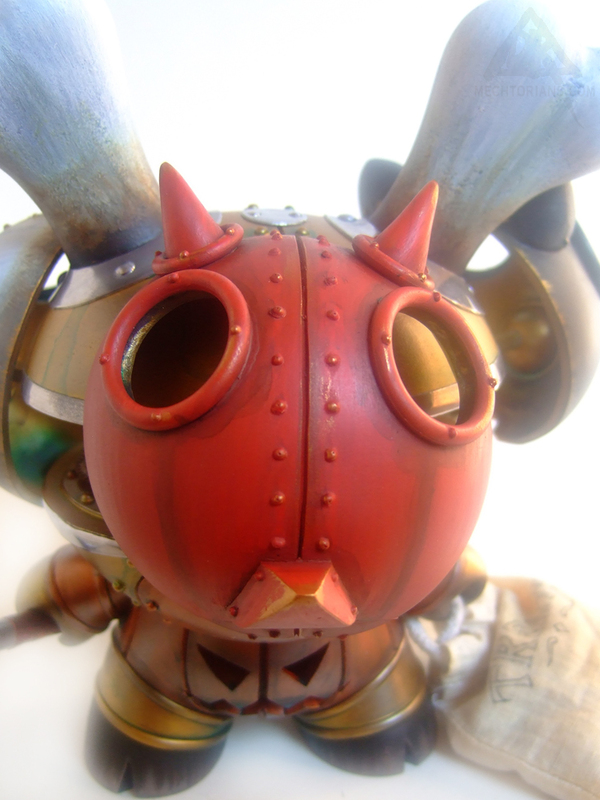 Our new engine not only combines the functions of TWO outmoded singular models but also sports our new quick change masquerade mechanism for rapid mask replacement. 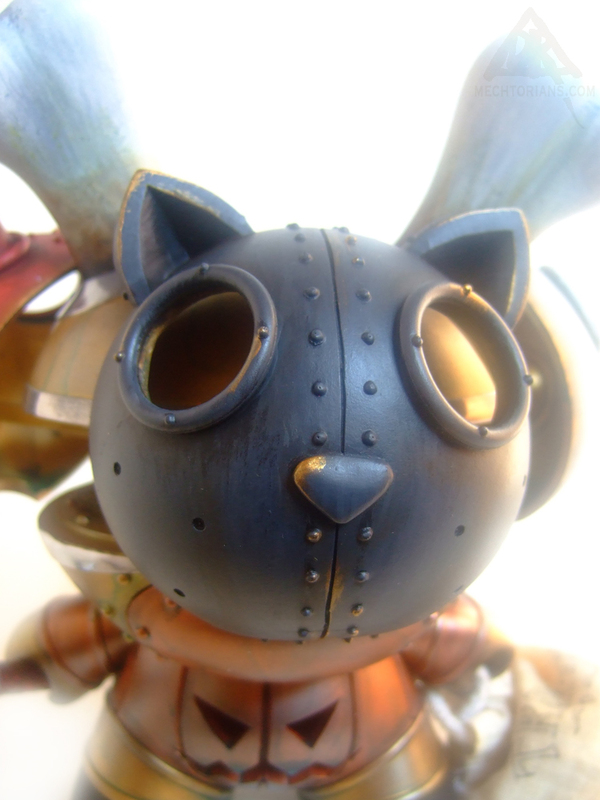 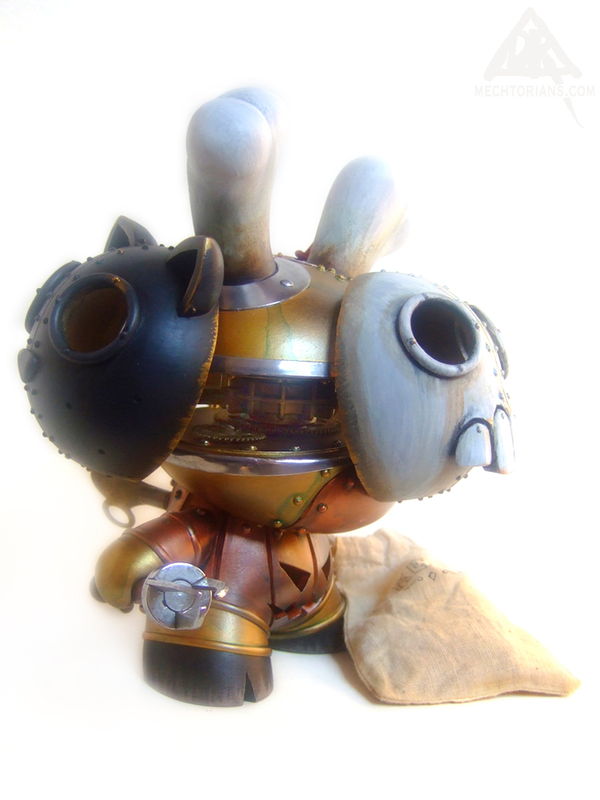 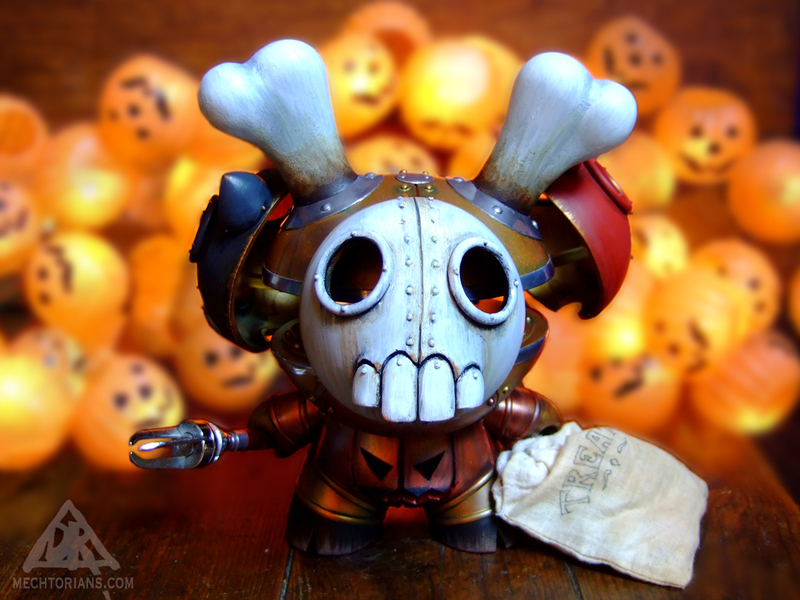 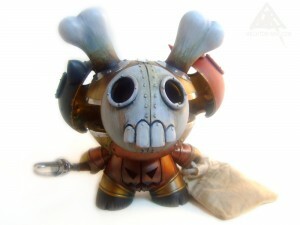 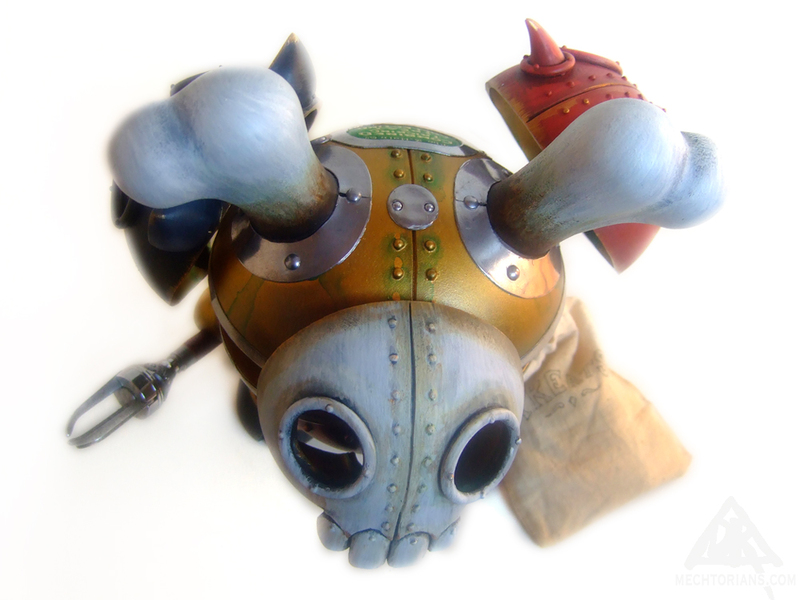 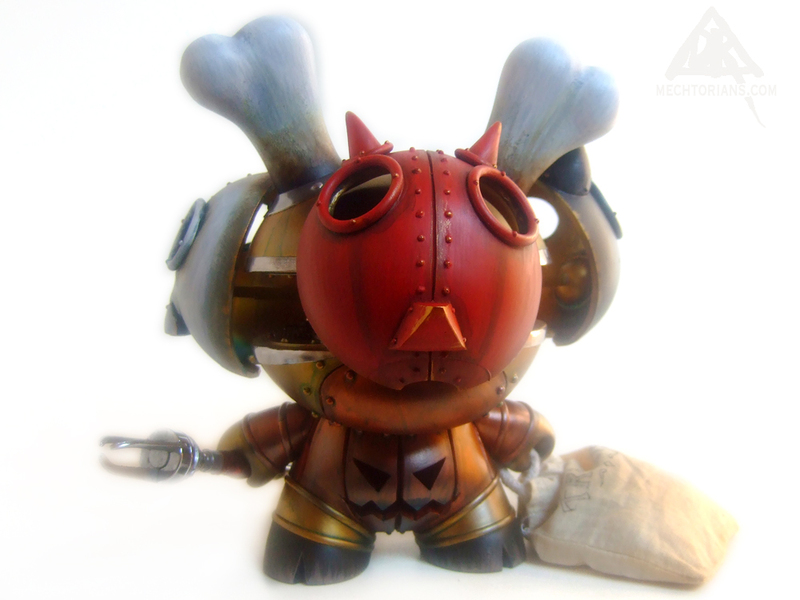 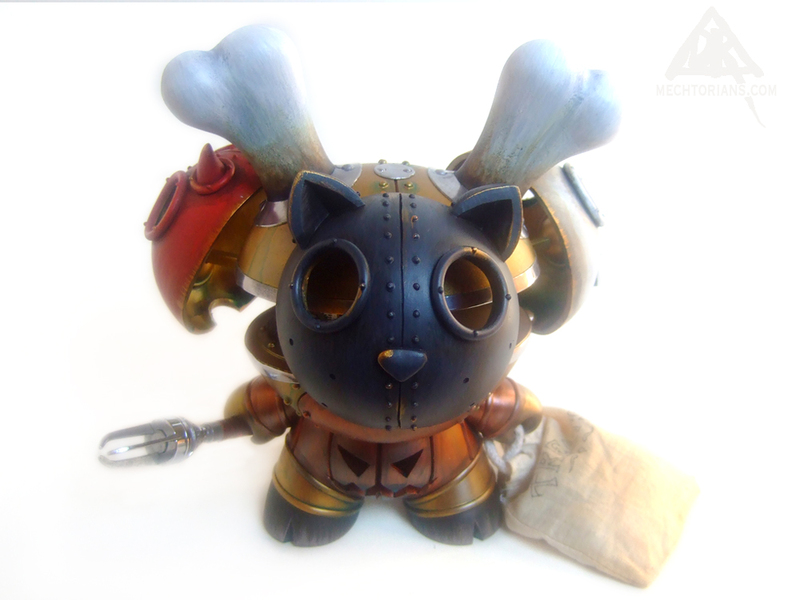 Customised “Dunny ” toy by Kidrobot. 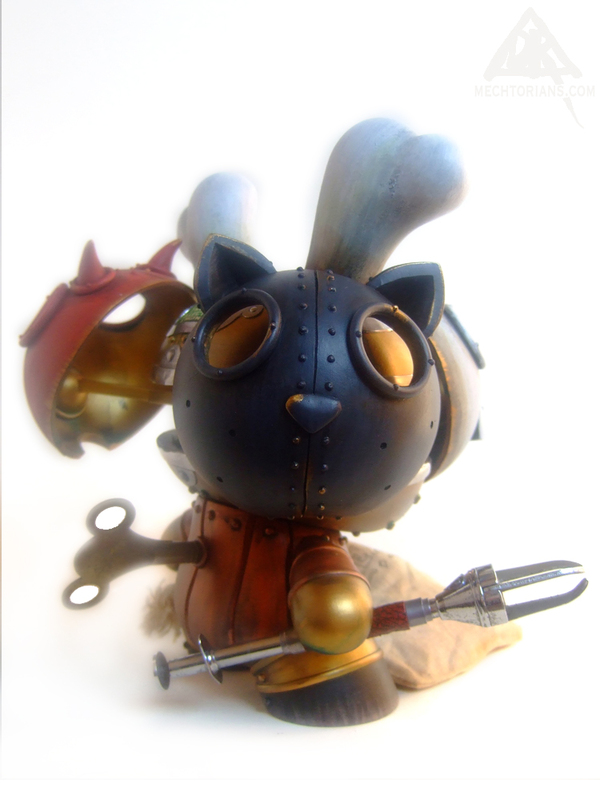 Vinyl, Rubber, Lead, Polymer clay, Brass, Copper, Steel, ABS, Paper, Found objects.